A new head of an investigation panel probing police handling of the inquiry into the murder of a man in 1987 has been named by the Home Office. Baroness Nuala O'Loan replaces ex-judge Sir Stanley Burnton, who stepped down from the role last year. 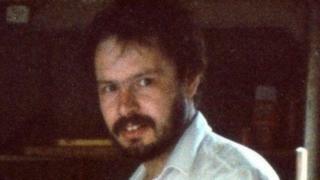 Daniel Morgan, a Welsh private investigator, was found with axe in his head in a London pub car park. A trial of four men charged with his murder collapsed in 2011 after alleged failures by the police and prosecutors. Mr Morgan, 37 and from Llanfrechfa, was found dead outside the pub, in Sydenham, south-east London. His family believed he was about to expose police corruption when he was murdered. Despite five police investigations no-one has been successfully prosecuted. In 2011, the Met Police apologised to Mr Morgan's family after the collapse of a court case into his murder. The former Metropolitan Police Authority made a payment of £125,000 to help with legal costs the family had incurred, but it did not admit liability. The Met Police has admitted to "repeated failure" to tackle corruption within the force which helped protect those responsible for the murder from being brought to justice. Baroness O'Loan was Northern Ireland's first Police Ombudsman from 2000 to 2007. She investigated thousands of cases including the police handling of the Omagh bombing in 1998 and police collusion with loyalist paramilitaries engaged in serious crimes between 1990 and 2002. Announcing the appointment, Home Secretary Theresa May said Baroness O'Loan "has a wealth of experience in dealing with serious and sensitive cases of alleged police misconduct and corruption". Baroness O'Loan said there is "a great deal of work to be done" on the case. "It is more than 27 years since Daniel Morgan was horrifically killed and his family have endured an agonising wait for the truth to be established," she said. Under its terms of reference, the panel will investigate alleged connections between police officers, private investigators and journalists at the News Of The World newspaper and other media involved in covering the case. It will also examine documents from government and non-government organisations, including the police and the Crown Prosecution Service.